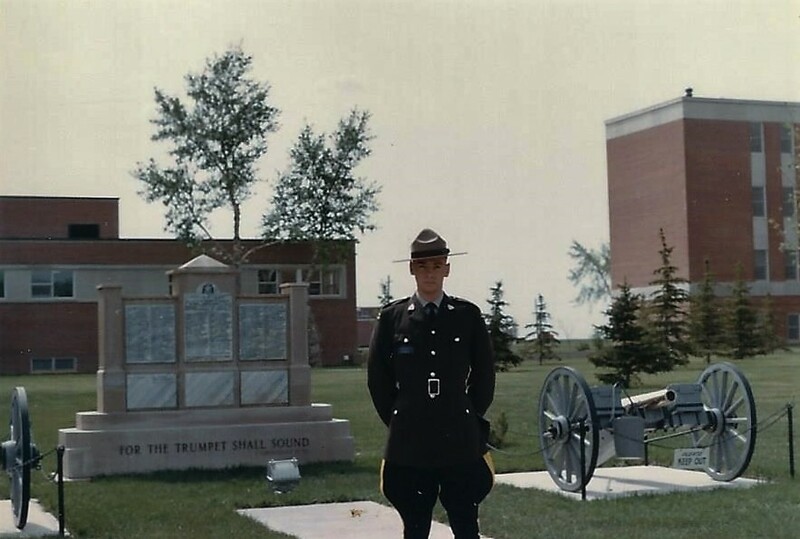 Day 6 – Canada Day 1990 – 1st of July saw us in Regina and the home of the RCMP from 1882 to 1920. Today it is the recruit training academy for Canada. A tour of the academy including museum proved interesting along with the chapel that was built-in 1883 and me telling stories of my days as a recruit. Lots of prairie dogs (gophers) were sighted and of much amusement. We meandered westward later that day taking in the sights of wheat elevators on the horizon and small oil (donkey) pumps scattered about the landscape. We stopped at North Battleford, after having run out of gas earlier in the day – apparently, I got upset with that. We checked out the neat fort that used to be RCMP post and capital for the Northwest Territories long ago. We also checked out Elk Island National Park that is home to lots of Bison (buffalo). Day 7 – We had made our way to the Province of Alberta and the city of Edmonton and stayed overnight around Spruce Grove. This was our staging point to head to the National Parks of the Rocky Mountains. After a quick look around Edmonton, just a big city we headed west to the snow-capped peaks and Jasper National Park crossing over the Athabasca River with its emerald color. We saw bighorn sheep gathering along the highways and black bears in the area. Apparently, we purchased some fishing gear for the kids to use, got some riding boots and found a lovely motel for the night. The Sawridge Hotel in Jasper was our home for this night with fantastic mountain views from the balconies. Mount Edith Cavell is seen from Jasper and is one of the most prominent in the Canadian rocky mountain range at 11,033 feet high peak. Day 8 – We headed to Pyramid lake with a breathtaking view of a mountain of the same name. 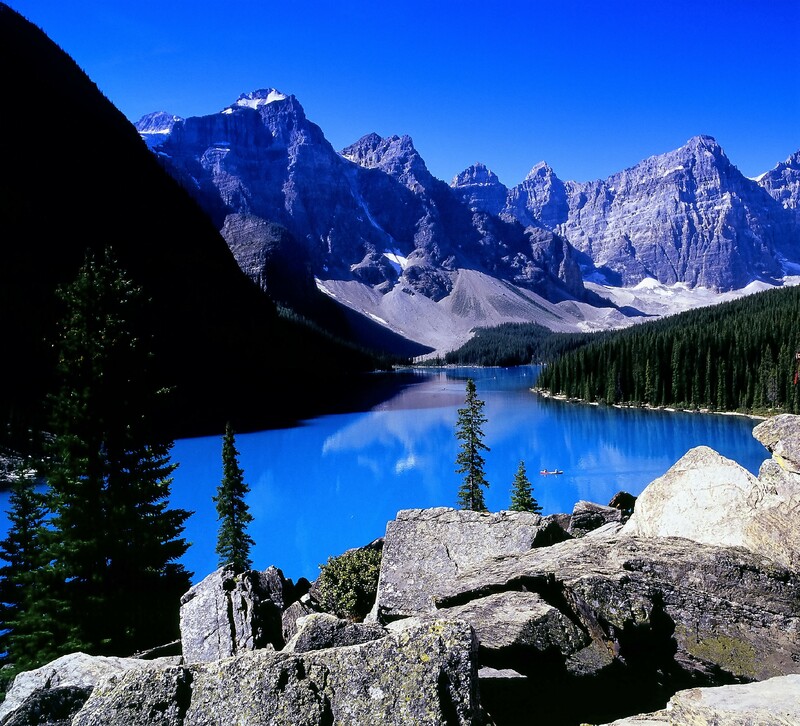 The was water was crystal clear and mirrored the mountain peaks. The boys fished from the dock and caught fish. We saw a doe and young elk on the road to Pyramid lake as we were up early and it was quiet. On the return journey we saw two loons on the lake. We then head down the Banff/Jasper highway and were delighted to spot a bull elk and female moose near the roadside. We checked out the Columbia ice fields and Athabasca glacier and as we headed further south towards Banff we spotted a grizzly bear sniffing around cars that had stopped. We saw shimmering alpine lakes with their turquoise waters, got to see Bow lake, Castle Mountain, and the Bow River. Day 9 – Banff was our destination for a few days and it was a busy place. 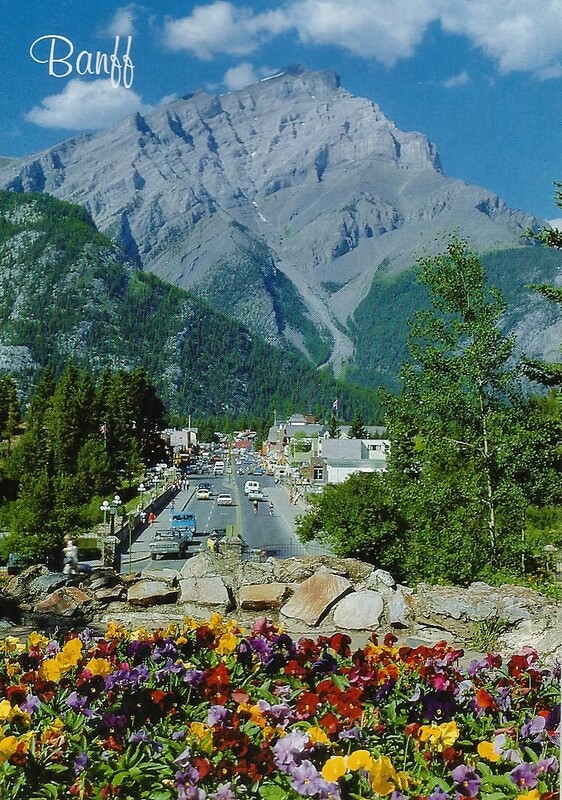 The Cascade mountain sits at the end of the main street looming large as it overlooks the city and is a most impressive sight – such a picturesque town. We drove around the area to check it out, we went outside the city and tried some fishing again in a lake and a river but with no luck. We toured the buffalo park, had a look at Banff Springs Hotel a legendary place built during the era of train travel and a very expensive hotel these days, considered one of the great resorts of North American. We found the streets of the town are named after animals such as Otter, Beaver, Moose St, etc – very cute. Day 10, 11, 12 – We had booked a holiday on horseback adventure with the Warner and Mackenzie Guiding and Outfitting Company. It involved 3 days and 2 nights in a log cabin with no water or electricity a fairly long ride into the mountains. We were accompanied on this journey by pack horses and donkeys with our supplies. We drove to the company barn to meet up with the other riders and were taken by truck some distance into the backcountry to the pack station where our journey was to begin – there we met Rick and Jamie – our guides. 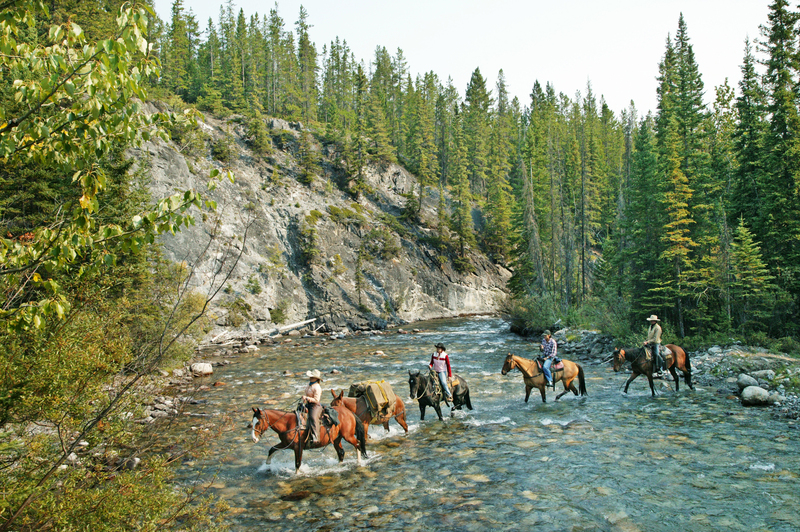 After some familiarization with the horses, we were assigned we mounted up to undertake the 4-hour ride to our cabin through lovely virgin forest, crossing streams with the mountains as our backdrop. It rained when we were about 1.5 hours away from our destination so when we arrived the crew was wet, cold and rather miserable. Stephanie the cook was awaiting our arrival and some good warm food that fixed things up. The next day after a good sleep and a ranch breakfast we saddled up again for a cowboys day out amongst some the greatest scenery. We stopped for lunch near a meadow and stream with a glacier nearby. After a camp lunch, we rode more in the woods and meadows and returned to the cabin later in the day for dinner. Everyone was exhausted – as riding for hours was not something that we were accustomed to – so sore butts were everyone’s complaint. Riding horses in the Rocky’s was a real special treat and something I had wanted to do forever. One of those bucket list things I guess. In the backcountry, the mountains seemed more majestic than I thought they would be. Everywhere you looked is a picture postcard. At night the moon was so bright and the sky was full of so many stars that they seemed almost touchable. It’s so wonderful when you are in the wilderness and away from the interference of city lights. The next day was our return journey to Banff – nobody wanted to leave as it was so peaceful and beautiful in this mountainous backcountry. But all good things always come to an end and a day ride back to the base stables saw us return to normality – with brilliant memories. 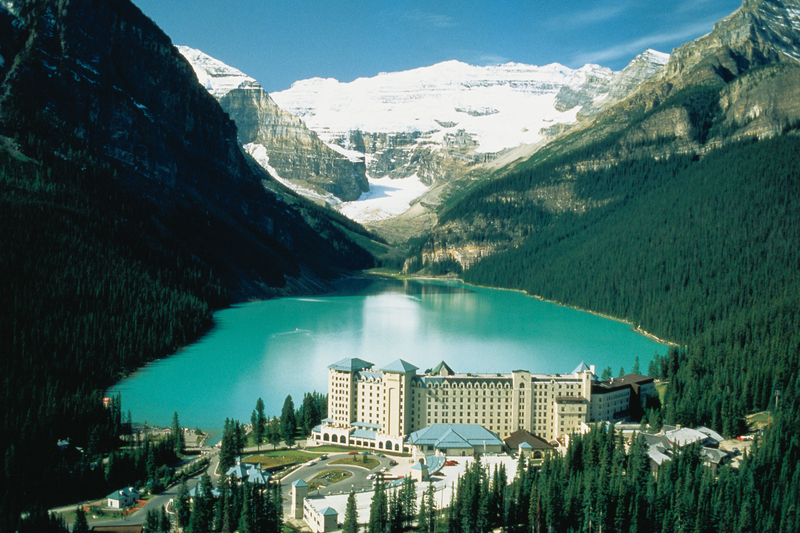 Day 13 – It was great weather and sunny today as we visited Lake Louise and our last day as we were departing the Rockies. The lake is pretty as postcards depict and visited by millions every year. It was named after Queen Victoria’s 4th daughter but was originally called the lake of many fishes by local natives. The kids did some fishing at Lake Minnewanka, a 21-mile lake just outside of Banff, and got some bits but no fish. Apparently, I was arguing with my ex-wife during this time? Due to spending some time around Banff, then passing through YoHo National Park and the Cathedral Mountain, we didn’t get too far on this days travel and stayed at a KOA campground in Golden, BC beside the Kicking Horse River. Jason, or oldest son, met a young lady from Saskatoon, Saskatchewan named Heather and struck up a short friendship. Day 14 – We twisted and wound our way through Glacier National Park, the Rogers Pass along that magnificent highway with incredible views connecting the provinces of British Columbia and Alberta. While it was summer we passed through the many snow sheds that are built along the highway to protect it from being buried from rock and snow avalanches during winter months. We stopped at the monument at Craigellachie, BC where the “last spike” was hammered into the cross Canada railroad on November 7th, 1885. We continued downwards to the narrows at Sicamous in the Shuswap lake regions and enjoyed the beautiful scenery on our way to Salmon Arm, BC where we stayed the night at another KOA campground. We spent our last road trip night in our “Go Vacation” camper and enjoyed the swimming pool to cool off from the very hot day. There was mini golf, there were many animals at this place and an evening tractor ride that amused the kids. 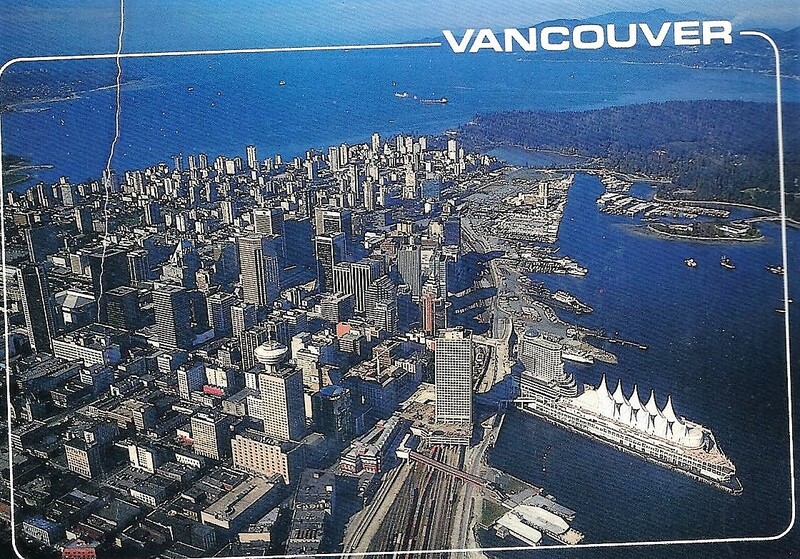 Day 15 – It was the home stretch ride to Vancouver and an arrival on the 11th of July 1990 where we stayed at a friend’s house for the night. We enjoyed a last Canadian BBQ with steak, beers and good company. The next day we dropped off the camper van, with not a scratch, and headed to the airport. We were dropped off by friends, checked in our luggage, changed our cash to Australian dollars and at 2030 on the 12th of July we boarded QF26 bound for Cairns, Queensland – our immigration port of arrival. Check out the Australian leg of this journey and the adventures in the “land down under”.